If you’ve been on social media for five minutes, you’ve probably either seen a video or have seen people talking about video. It could be someone sharing a recipe video, their most recent YouTube upload, or a recent Facebook live. While I’m a huge fan of YouTube, there are many other ways to utilize video in your business! One of the best reasons to start using video is to grow that know, like, and trust factor for your brand. Let’s dive into these three factors to understand more! In our online world, it’s easy to hide behind a screen all day. Some people even have their profile pictures set to their brand’s logo, so you really never get to see them. With video, you’re allowing people to get to know (and hear) you. Your viewers also get to know your business and brand better. 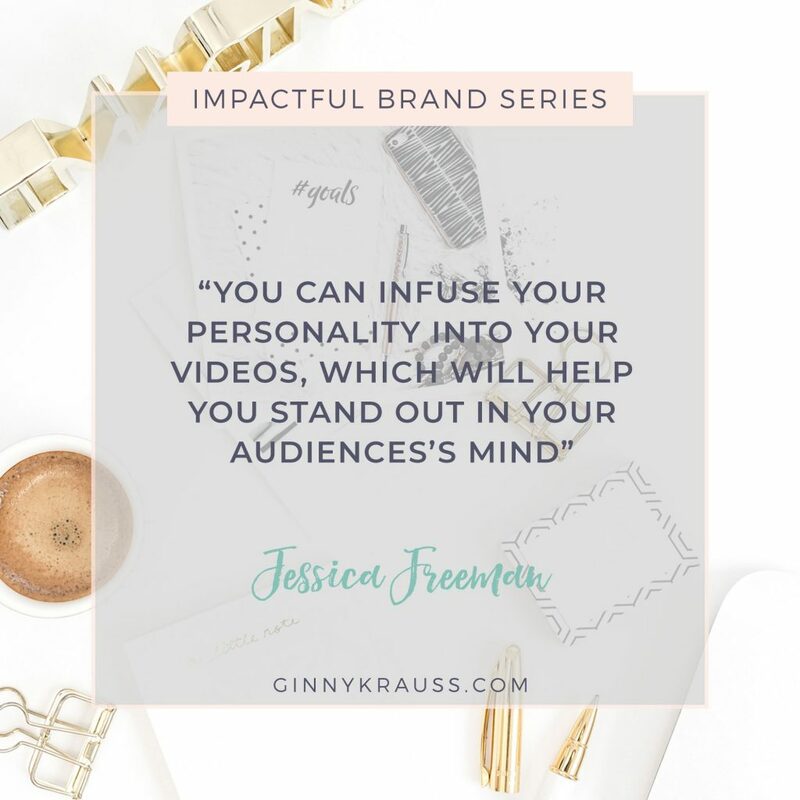 You can infuse your personality into your videos, which will help you stand out in your audience’s mind. Brittany Berger is a great example of this, as she infuses pop culture references into so much of her content. As you begin to infuse more of your personality into your brand, you’ll begin to connect with your audience on a deeper level. Don’t be intimidated by all of this personality talk – you don’t need to be super funny in all of your videos. For example, if you’re obsessed with mac ‘n cheese, think about simple ways to mention it in your videos! Obviously, people are more likely to buy from you (or hire you), if they like you. This is where Instagram Stories and Facebook Live are a huge asset to your brand. People can’t begin to like you if they don’t know the real you. Yes, YouTube is a great platform for your content, but being authentically yourself and showing what it’s like behind the scenes on Instagram and Facebook can be so powerful. Tyler McCall is a great example of someone who posts consistently on Instagram stories! Through posting videos consistently and providing value, people will begin to trust your expertise. I can talk about baking brownies for 15 minutes, but if it stops there and you never hear me talk about it again, how likely are you to buy my brownies? Now, on the other hand, what if I post weekly videos talking about brownies, recipes, and other baking tips? After a few months or a year, you’ll probably be more inclined to buy brownies from me! Every video you post showcasing your abilities and your expertise is another stepping stone between you and your target audience. Being consistent on YouTube for the last two years has given me over 200 stepping stones! There may be a million people who do what you do, but only you can infuse your own personality and angle into the content. I’m a huge fan of YouTube, simply because it’s the second largest search engine on the Internet. But maybe that’s not where you best connect with your community. If Facebook or Instagram Live is your jam, then run with it! Be consistent and provide value. Don’t get caught up in the right equipment or set up – people just want to see you and hear from you. This blog post is part three of the Impactful Brand Series – an eleven-part series to help you build an impactful brand in 2018. If you don’t want to miss out on this series, be sure you are on my email list to be notified each week when a new piece in the series is released. Next up in the series: How Writing a Book Can Help Elevate Your Brand. 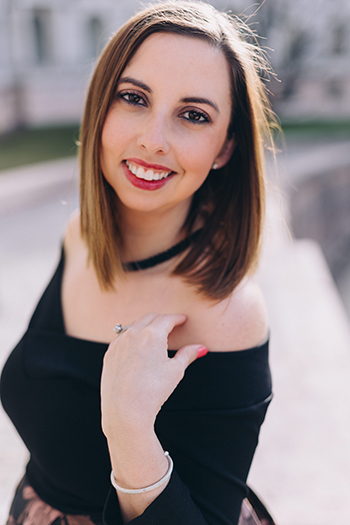 This post was written by Jessica Freeman – an award-winning graphic and web designer and video consultant, helping service-based entrepreneurs create a brand that shines through every level of their business. Outside of designing, she also loves producing for her YouTube channel. Jess lives in Atlanta, GA with her husband, Aaron. You can see more from her on YouTube and Instagram.